Two dear friends of mine recently reminded me of how fragile is this dividing line between “grace alone” and “grace a lot.” See Here. It will be grace-a-lot that our human nature loves to cling to, but providentially God knows our need, and it is not grace a lot, but all grace; grace alone. Kudos to friends whose neck hairs stiffen to anything that sounds remotely hostile to the Gospel of Grace, and are diligent to express their concern openly. I read often (understatement says my lovely), and I’m apt to discuss my reading with others (okay, okay dear… I’m always blabbing about my current reads). On occasion though, I’m moved by such a work that I wish I had the authority to make it mandatory reading (oh that sounds chock-full of grace) for everyone who names the name of Christ. Such is this work. I tell you the truth; I do not lie (at least about this book). There is no believer who will not profit from the words of this man with the impossible name to pronounce. Check out the subtitle. It alone should prod your acknowledgement of its value in an exhausted world. 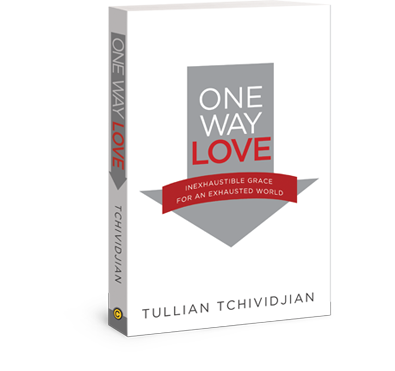 This entry was posted in Books and tagged Billy Graham's son in law, blogging, Christianity, inspiration, Religion and Spirituality, Tullian Tchividjian. Bookmark the permalink. He sent out His Word and healed us, and delivered us from our destruction. Let us give thanks to the Lord for His Unfailing Love. For His wonderful deeds for us. Let us sacrifice thank offering and tell of His works with songs of joy….Whoever is wise, let him heed these things and consider the Great Love of the Lord. Songs To The Lord 107: 20, 21, 22, 43.